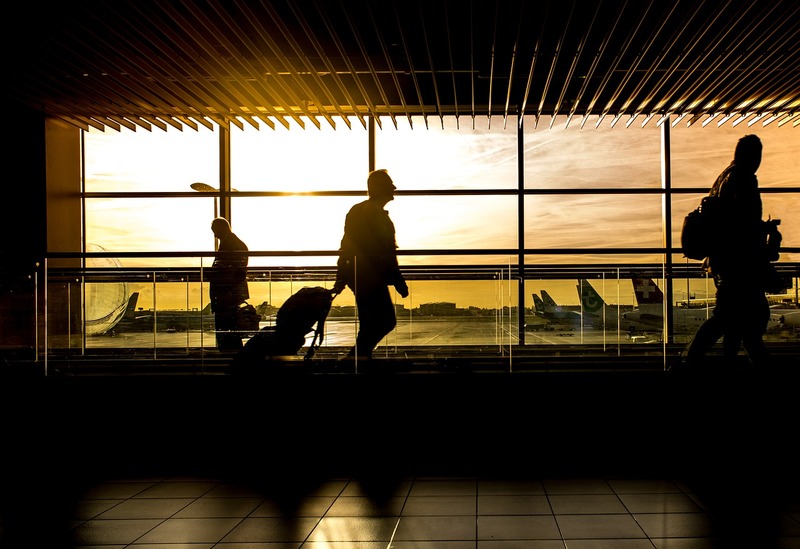 Are you one of those people who loves to show up to the airport a few hours early to take advantage of the shops before you hit the Business Class Lounge? Or do you leave it all to the last minute, then have to dash around looking for souvenirs while hoping you don’t miss your gate being called? Whatever type of shopper you are, airport terminals are a great place for picking up duty-free goods. They’re not just for picking up huge packs of cigarettes and litres of booze either – many are packed with designer outlets, souvenir shops and local brands. Changi Airport is actually one of the biggest shopping malls in Singapore, with more than 400 retail outlets and 140 dining options. To help you get around, the airport has its own app, iChangi, which offers updates on flight times, terminal maps and shopping and dining indexes. You probably don’t need an incentive to go shopping here, but if you do, Changi Airport actually makes one lucky shopper a millionaire each year. Just enter the Changi Millionaire raffle and you could become an instant millionaire! 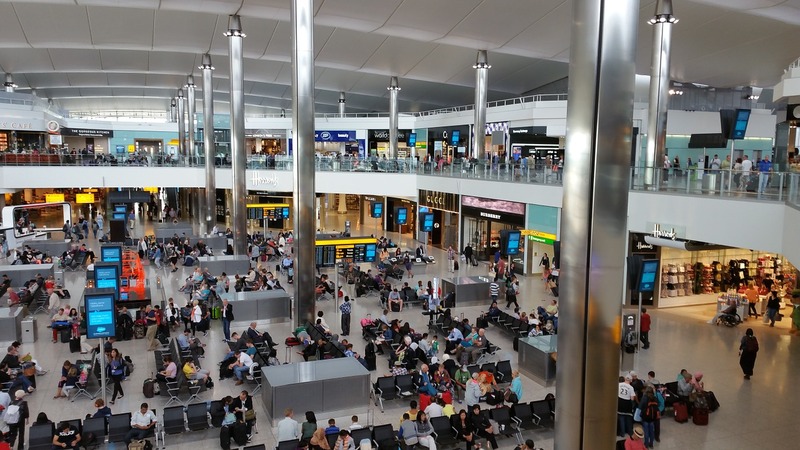 One of the busiest airports in the world, London Heathrow has four passenger terminals that are packed with shops. If you join the Heathrow Rewards loyalty program, you can also earn points as you shop! If you want to pick up some British goods to remind you of London, Heathrow Terminal 5 has a Fortnum and Mason, Hamleys, Harrods, Mulberry and Aspinal of London. Things to buy: Teddy bear from Hamleys, a nice purse from Aspinal of London or perhaps some chocolates from Fortnum and Mason. Amsterdam Schiphol is honestly like a giant shopping mall with so many stores and restaurants it can be overwhelming. The airport has plenty of luxury brands including Bottega Veneta, Burberry, Rolex and Gucci, but it also has plenty of stores offering uniquely Dutch gifts. If you want to take home some flowers for your loved ones, House of Tulips has tulips in almost every colour, or you can pick up some seeds and bulbs to plant them at home. “Say Cheese” is stocked with all kinds of Dutch and international cheeses, while “Excuisite” houses cigars & liquor for connoisseurs. Things to buy: Tulips, lots of Edam cheese. We love Doha Hamad because it’s home to one of the best airport lounges in the world – the Al Mourjan Business Lounge. The lounge is 10 times the size of an Olympic swimming pool and feels like a hotel, offering a wide array of seating areas and numerous different dining options. If you can bear to drag yourself away from the lounge for just a second, the airport also happens to have some fantastic shopping too, offering big brands such as Hugo Boss, Michael Kors and Victoria’s Secret. Don’t miss your chance to snap a photo with the “lamp bear”, which was constructed out of bronze by modern artist Urs Fischer and cost $6.8 million to make. Things to buy: Baklava, fresh dates, nuts and high-quality coffee from Marmalade Market. If your flight’s delayed, there are worse places you could be stuck than HKIA. The airport has an Imax movie theatre, an indoor golf club, a spa and of course, plenty of shops. SkyMart and SkyPlaza have over 250 shops and 70 restaurants, offering a wide range of products from electronics and accessories to cosmetics, jewellery and clothing. Visit the Hong Kong Design Gallery to browse more than 5,000 unique products created by 200 local designers or shop for big name brands such as Burberry, Chanel and Prada. Things to buy: Electronics, local foods and pastries from Kee Wah Bakery and Wing Wah Cake Shop. Whether you’re jetting off to Dubai or you just have a layover there on the way to Australia or Asia, the airport’s shops are a must-visit. The whole UAE is known for being a tax-free shopping haven and the airport is no different. Known as the “City of Gold” Dubai is known for its high quality gold and so if you haven’t had a chance to pick up some jewellery in the iconic Gold Souk, you can definitely do so at the airport. Gold is available by the gram and you’ll also find a wide range of earrings, chains and necklaces for purchase. Things to buy: Anything involving dates. Date jams, date honey, date chocolates or even date Champagne. Gold jewellery. Travelling to Seoul? At Incheon Airport there’s a lot to keep you occupied, including an ice rink, a spa, two movie theatres, gardens and even a museum dedicated to Korean culture with artefacts dating back thousands of years. If you have time and you like playing golf, a shuttle bus will take you to SKY72 Golf Club, a 72-hole golf club that is part of the airport. For duty free shopping you can head to Lotte Duty Free or The Shilla Duty Free, which are both stocked with cosmetics, alcohol and packaged foods. Or, if you’re trying to battle those laughter lines and age spots, you can pick up some Korean beauty products, which can be found at SkinFood, Innisfree, and Etude House. Things to buy: Kimchi, dried seaweed, paper face masks and Korean beauty products. Want to make the most of the premium lounge instead of dashing around the airport? One of the fab things about flying First or Business Class is that some airlines offer personal shopper services who will actually run into the airport and get things for you! To book your First or Business Class ticket call SkyClub on 0207 255 1234 or drop us a line with our online form and we’ll be happy to help you find the cheapest possible fare.